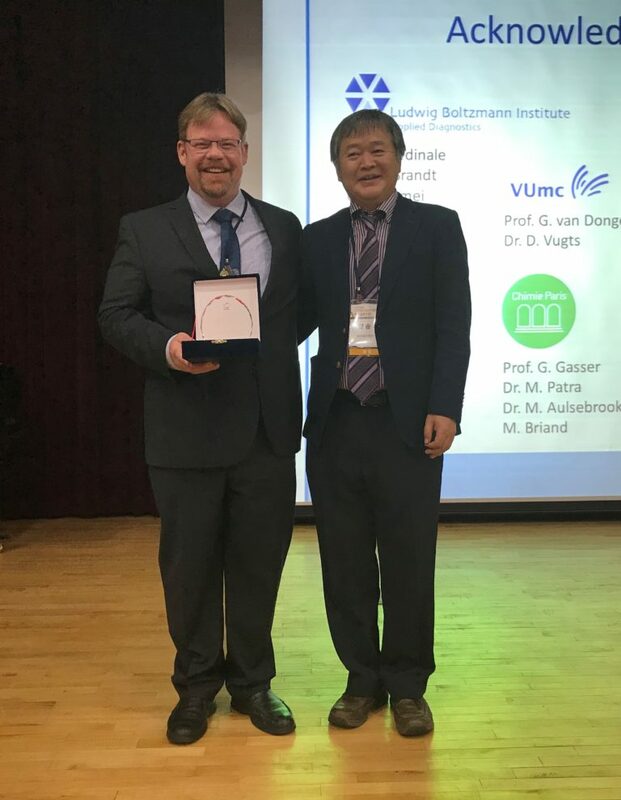 Prof. Dr. Thomas L. Mindt, Head of Imaging Biomarkers, was invited to deliver the plenary lecture at the 4th national congress of the Korean Society of Radiopharmaceuticals and Molecular Probes (KSRAMP) 2017 in Daejeon, Korea. 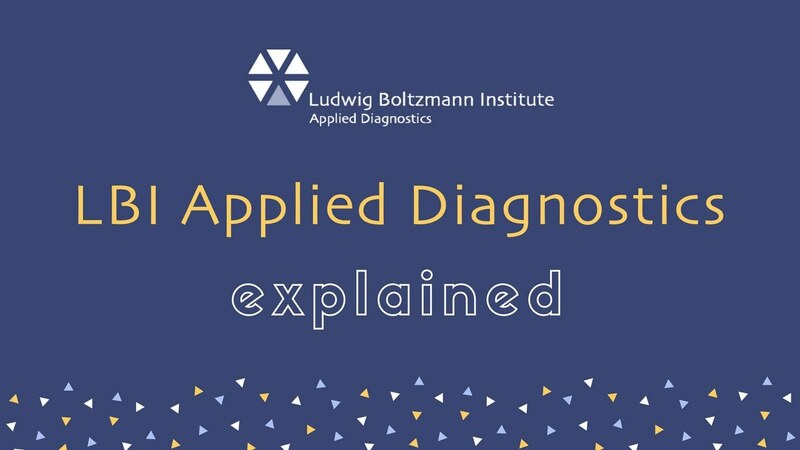 His presentation was entitled “Of Established and Emerging Radiometals” and included an overview on the use of new radionuclides (e.g., Zr-89, Ac-225, Sc-44) in radiopharmaceutical sciences. The picture shows him together with the KSRAMP president Dr. Seung-Dae Yang of the Korean Atomic Energy Research Institute (KAERI) after handing over a plaque of appreciation.